For many veterans, returning home from combat with the physical and mental wounds of war can lead to isolation, depression, dysfunctional behavior, substance use, and sometimes, suicide. Reports show that 22 veterans commit suicide every day. While much attention has been paid to suicides by younger veterans of Iraq and Afghanistan, about 70 percent of veterans who commit suicide are over age 50. Post Traumatic Stress Disorder (PTSD) and other high-risk behaviors are contributing factors to these statistics. Left unaddressed, we will continue to lose more retired servicemen every year to suicide. Fifty percent of veterans experience mental illness, while many also experience homelessness, live with serious health conditions, and qualify as low-income. The implications for such challenges faced by veterans are often co-occurring and severe. With often no family or social support, these veterans have no where to turn and lag in reintegrating into the community. Imagine a world where veterans adjust to civilian life with access to a wealth of resources at their fingertips; where veterans receive mentorship and support from peers who have walked in their shoes; and where leading a happy, productive life is within reach. This is the world that SUS works hard every day to create for veterans. 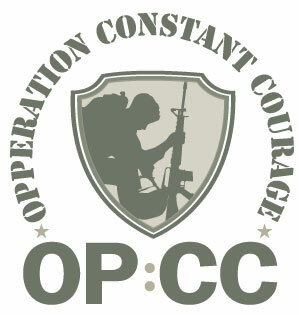 To curb the veteran suicide rate, SUS is launching Operation Constant Courage (OP:CC) in October. This community-based program will enlist a trained network of veteran peers to volunteer as on-call first responders to rapidly intervene during crises when veterans are at risk of suicide. With first responders available across the region, support to veterans at risk of suicide will be easily accessible at the grassroots level. In additional to emergency suicide prevention, OP:CC will also connect veterans with mental health services and will work in collaboration with federal and state agencies to advocate for veterans’ access to benefits and services that address their behavioral health challenges. “This unique program allows SUS to provide veterans with a safety net when they feel most vulnerable and connect them to resources that can support their long-term care and recovery from trauma,” says Donna Colonna, CEO of SUS. Funded by Wounded Warrior Project, OP:CC allows SUS to better serve the 2,200 veterans that come to us for services, and thousands more. To honor Suicide Prevention Month, get involved. If you are a retired service member or want to join SUS in saving the lives of those who served us, or know someone who does, please call (844) 787-6722.